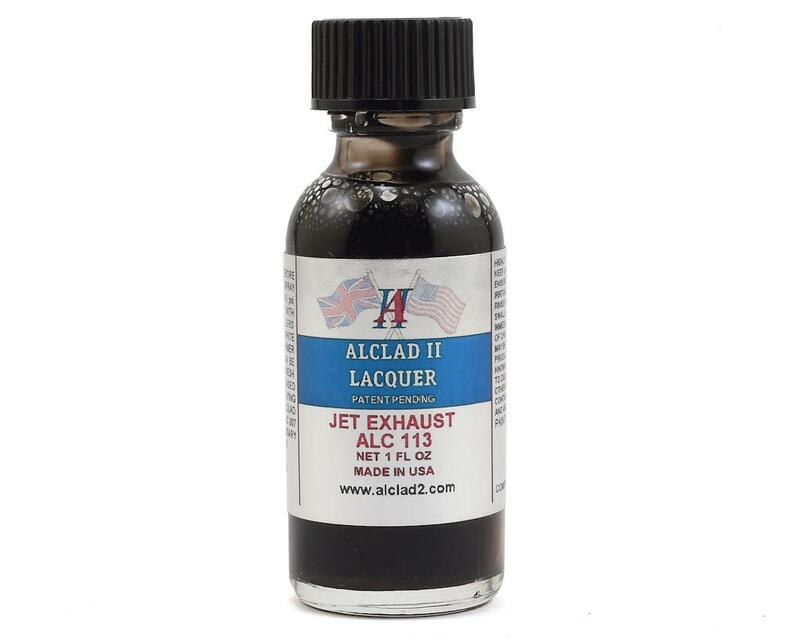 This is a 1 ounce bottle of Alclad II Lacquers "Jet Exhaust" Plastic Model Paint. For use on injection plastic kits a primer is necessary. 'Regular ALCLAD' is similar in strength to lacquer/cellulose car paints-injected polystyrene plastics frequently have areas which ALCLAD can craze.